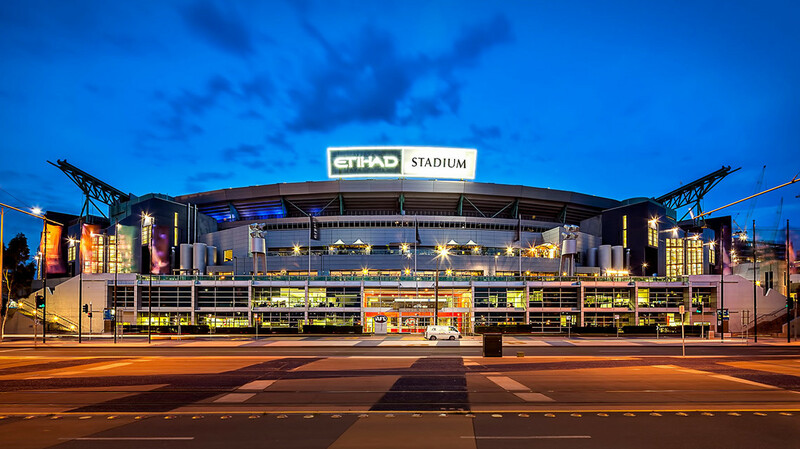 Etihad Stadium is a multi-purpose facility designed to cater for major sporting and entertainment events. This state-of-the-art 55,000 capacity stadium has a full retractable roof ensuring perfect conditions all year round. The stadium hosts AFL matches, A-League games and Big Bash League cricket matches. The venue also regularly stages international sporting events such as Rugby League World Cup matches, Rugby Union Tests and soccer World Cup qualifiers. The venue has hosted many concert spectaculars featuring international performers such as Andre Rieu, Robbie Williams, Bon Jovi, Kiss, U2, Coldplay, ACDC, Bruce Springsteen and many others. Since the inception of ‘Docklands Stadium’ as it was originally known and since opening on March 9, 2000 Philip Chun has provided Building Code and Essential Services certification advice for the life of the stadium. Philip Chun has developed a strong working relationship with the Stadium Operator, Melbourne Stadiums Limited. Philip Chun continues to issue building permits and annual essential safety measures reports for the stadium.